East-West Gateway, in coordination with the City of St. Louis and Forest Park Forever, have initiated a study under the guidelines of the Council’s Great Streets Initiative to develop a multi-modal access and circulation strategy that increases the safety, convenience, and accessibility to and within Forest Park, resulting in an improved visitor experience. Click here to read the press release announcement. 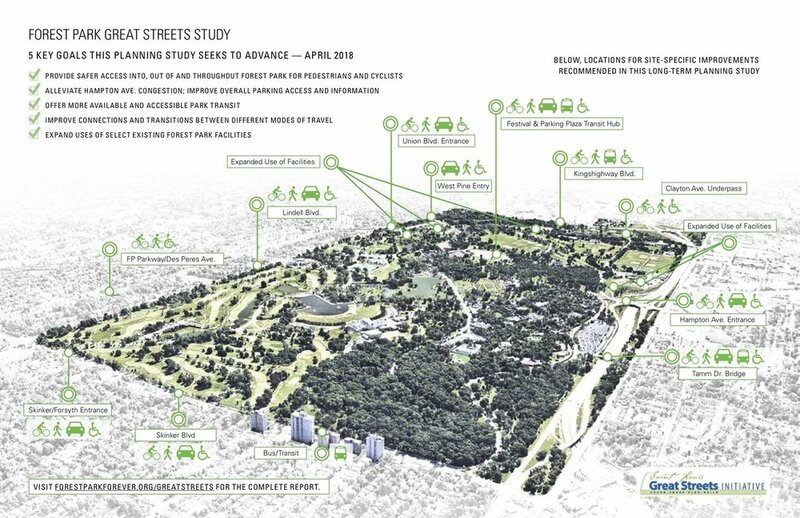 The Forest Park Great Streets project will recommend implementable projects and policies to improve regional and local access to Forest Park, improve circulation and parking within the Park, and recommend supportive land use strategies to address the needs of the diverse Park users. Please click here to view the 100-page Final Report. 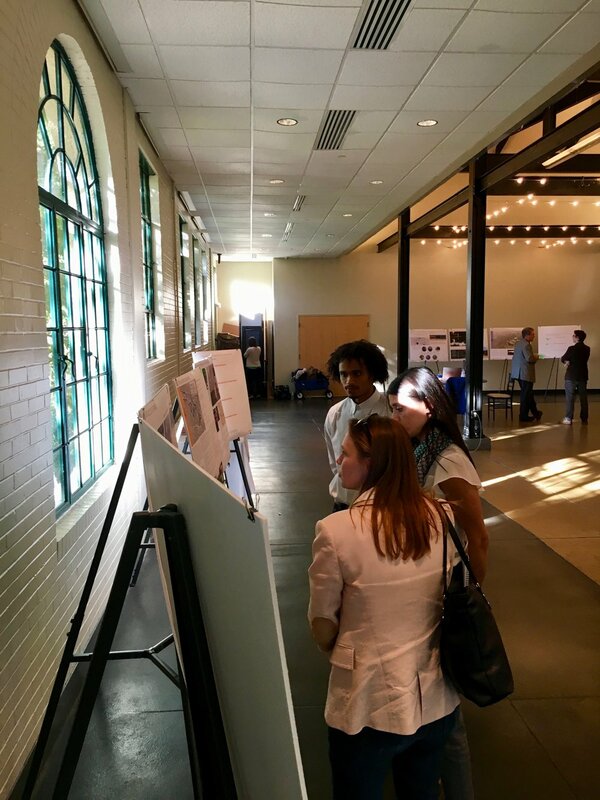 On Thursday, April 26, 2018, the project team led a public event to present a collection of project concepts and operational recommendations developed with input from focus groups and the community. 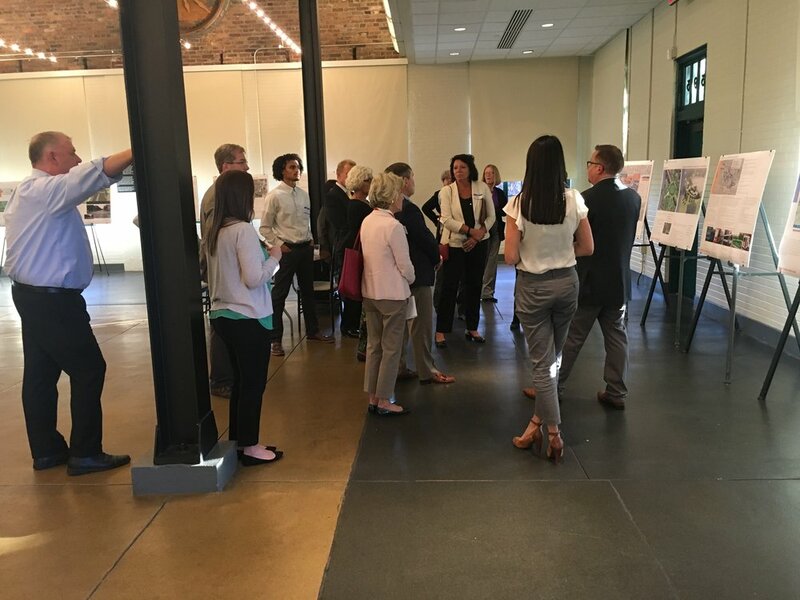 Like all other capital projects in Forest Park, any decision to undertake a project originating from this Great Streets Study will be subject to a review process with the Forest Park Advisory Board. Beginning a bike-share rental program. These project and policy recommendations are at this stage only concepts. Some will advance to become more detailed and then get built, while others will not. Like all capital projects in Forest Park, any project originating from this Forest Park Great Streets Study would be taken through the deliberate nine-step process with the Forest Park Advisory Board, whose members are appointed by the Mayor of St. Louis and represent the broader community of Park users. If you were unable to attend the open house, but would like to see the materials that were presented, please email us! If you would like to read the Market & Land Use Analysis Report and Existing Conditions Report, please go here. If you have any questions or comments about the Forest Park Great Streets Study or the projects being proposed, please fill out the form below or send us an email. St. Louis Post-Dispatch: "Wider sidewalks, roundabout included in recommendations for Forest Park"
NextSTL: "Study Suggests Steps to Humanize Lindell Blvd"
Fox 2: "Forest Park holding open house on improvements"